On An Overgrown Path: A design of the times? 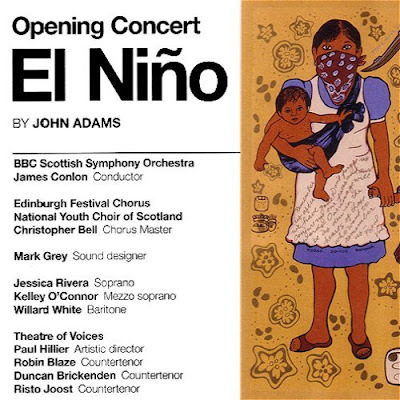 Is is a sign of the times that American sound designer Mark Grey is billed above Willard White and the other El Niño soloists in the Edinburgh Festival 2010 brochure seen above? Mark Grey, who is entrusted with producing the sound for John Adams' oratorio, is a man of many talents. 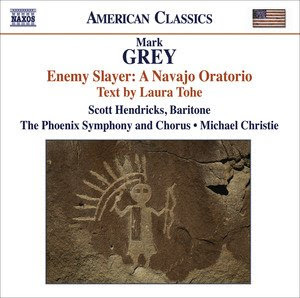 He is also a composer and his Enemy Slayer: A Navajo Oratorio was released in March 2009 on Naxos. Could this be the same label about whose recordings a leading American composer said in February 2009? They're poorly produced. In some cases, the performances are OK, and in some cases the performances are disgraceful. It's like going to Costco and buying toilet paper with no brand on it. Meanwhile back in Edinburgh the Festival brochure has the Philadelphia Enquirer describing El Niño as a "major mastepiece". Is a "minor masterpieces" one that is not quite Harmonium? umm ... you mean their oratorio (Mark Grey and Laura Tohe), which was called a "triumph" by Opera Today?